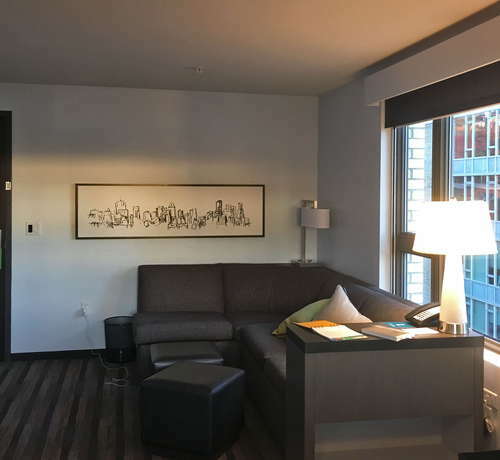 Seated just steps away from the Willamette River, the Hyatt House Portland/Downtown is the perfect base for business travelers looking for a home away from home. This well-maintained property has all the amenities you’d look for in a hotel - along with the comforts you’d expect at home (and it’s pet-friendly!). The rooms at Hyatt House Portland/Downtown are built with the working traveler in mind. Even the hotel’s standard rooms offer oversized workstations, and travelers have the option to upgrade to a studio or one-bedroom with divided sleeping and living areas as well as a full kitchen for whipping up meals when eating out loses its luster. 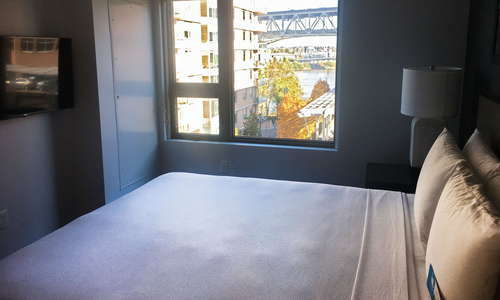 If you can, book a room on the river side - the views are worth the extra investment. YOU SHOULD KNOW There’s a lot of hustle and bustle going on in Downtown Portland, and this hotel is right in the thick of it. 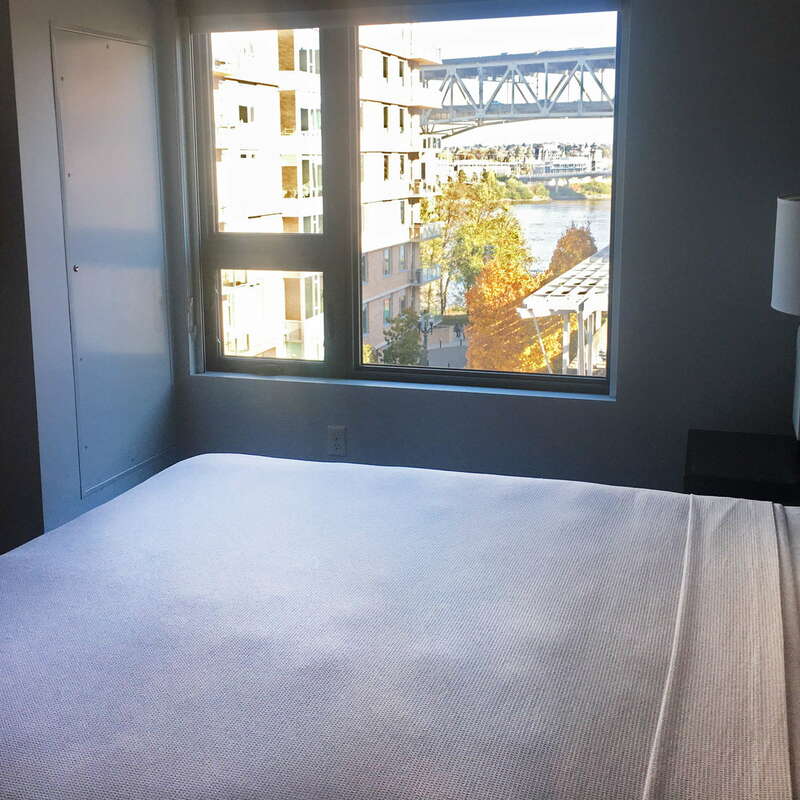 If you’re a person who doesn’t do well with outside noise, make sure to request a room on a higher floor to avoid dealing with any commotion on the street. 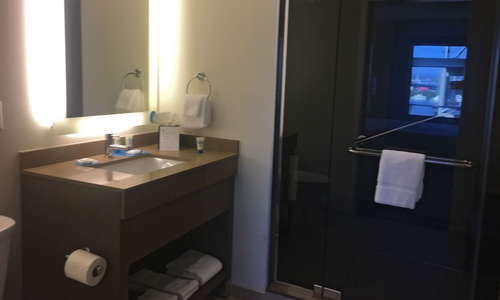 The last thing you want when traveling on a business trip is a tiny bathroom - and luckily, that's not something you have to worry about here. The spacious bathrooms have plenty of room to move around and feature large, modern showers decked out in dark gray tiling - not the run-of-the-mill white you find at most budget hotels. The lobby is pretty standard for a Hyatt property, although the modern decor gives it a decidedly upscale feel. The lobby is also home to the business center and plenty of comfy seating, so expect to encounter a lot of activity during check-in. YOU SHOULD KNOW This is a pet-friendly property, and because this hotel caters to a lot of long-term business travelers, there are typically a lot of dogs running around. If you’re allergic to (or spooked by) dogs, this probably isn’t the best property for you. If you’re looking for a chic poolside retreat, this property isn’t your best bet (remember, you’re in Portland, not Los Angeles), but Hyatt House Portland/Downtown does have an indoor pool with windows that look out on the city if you want to take a quick dip, swim some laps, or read a book by the pool. Keeping up with a regular fitness routine is a must for a lot of business travelers. And while the gym here is pretty no-frills (you’ve got weights, treadmills, and ellipticals), it’ll get the job done, and the round-the-clock hours makes it easy to squeeze a workout in no matter what your schedule. Hyatt House Portland/Downtown is right in the thick of Portland’s dining scene, so most hotel guests tend to venture out to enjoy the best cuisine the city has to offer. But the property does offer free breakfast to guests, which includes a build-your-own-omelette bar as well as more traditional offerings like oatmeal and fresh fruit. If you’re looking for something quick, the H Market- which is open 24/7 - has a great selection of grab-and-go snacks, salads, and sandwiches. Need an adult beverage after a long day at the office? H Bar has a great selection of beer, wine, and specialty cocktails along with some great munchies to help you unwind. Make sure to order the Korean street tacos with your drink - they're delish! Downtown Portland is extremely easy to navigate on foot or using public transportation, so if you can avoid bringing a car, you should (leaving your car at home will save you a whopping $37 per day in valet parking fees). There’s a metro station right outside of the hotel where you can hop on a streetcar and ride to most areas of the city, and when in doubt, you can always catch an Uber. Portland is known the world over for its dining scene, and downtown is home to some of the city’s best restaurants. If the hotel breakfast isn’t your cup of tea, make sure to check out Mother’s Bistro and Bar (5-minute drive), a favorite with locals that serves up some of the best french toast in town. If you’re looking for a more upscale dining experience, don’t miss Le Pigeon (9-minute drive), one of the city’s most beloved French restaurants where communal-style dining makes it easy to meet new friends while you enjoy dinner. Tip: Portland is notorious for its long wait times for breakfast and brunch, and Mother’s is no exception. If you want to beat the crowds, try to arrive before 9am. If Portland does one thing well, it’s beer. Bailey’s Taproom (8-minute drive) offers 26 rotating beers on tap with a heavy focus on local breweries (bonus - they also have board games!). If you’re more of a liquor person, be sure to check out Barlow (7-min drive), a 20’s-themed speakeasy serving up delicious specialty cocktails. 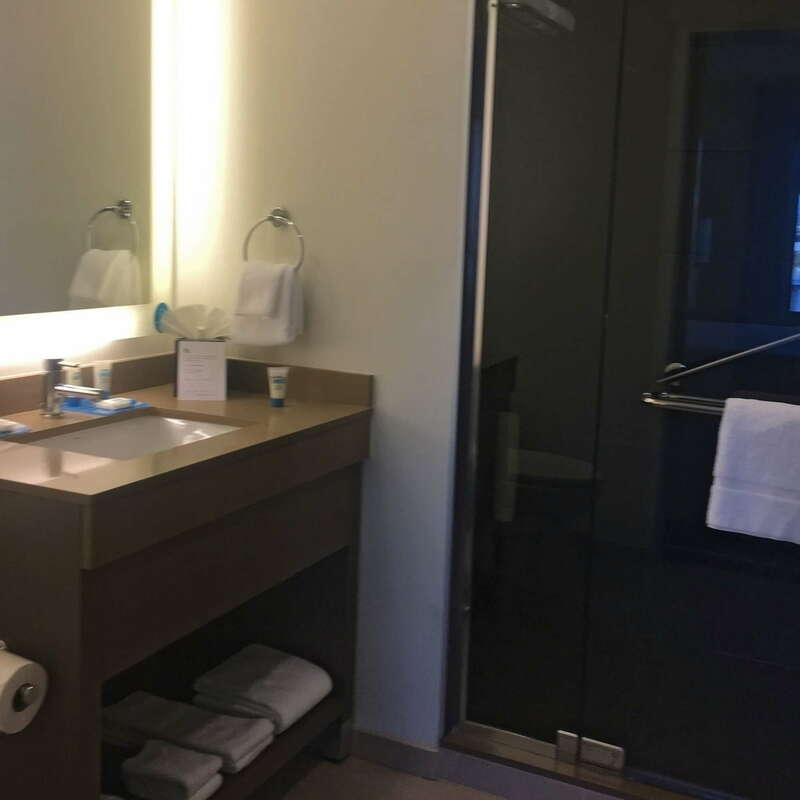 If you’re looking for a comfortable place to rest your head while you’re in Portland on business, the Hyatt House Portland/Downtown is the way to go. 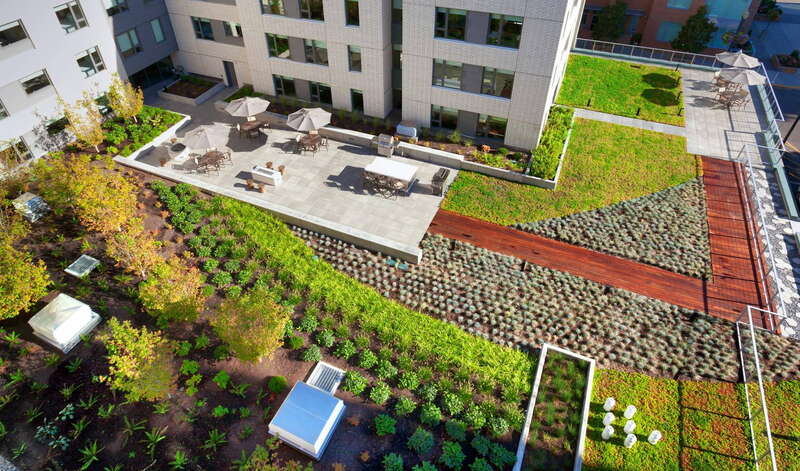 While the hotel isn’t winning any points for originality, the location, amenities, and the property’s obvious catering to business travelers make it a solid choice.